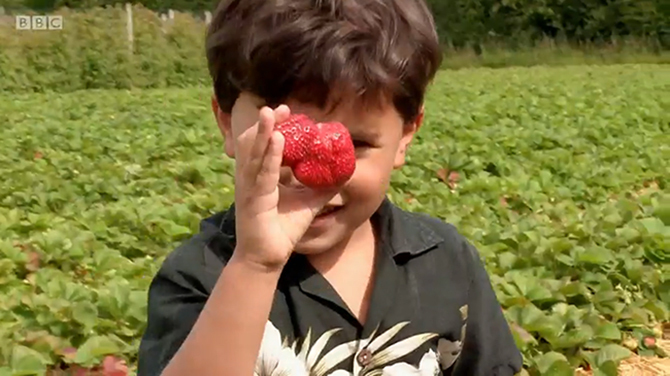 Did you spot the farm on CBeebies? Honu’s favourite activity is strawberry picking, who can blame him?! Catch it on iPlayer until 14 April. The TV show was filmed last summer. Only two months until the first strawberries will be ready again!